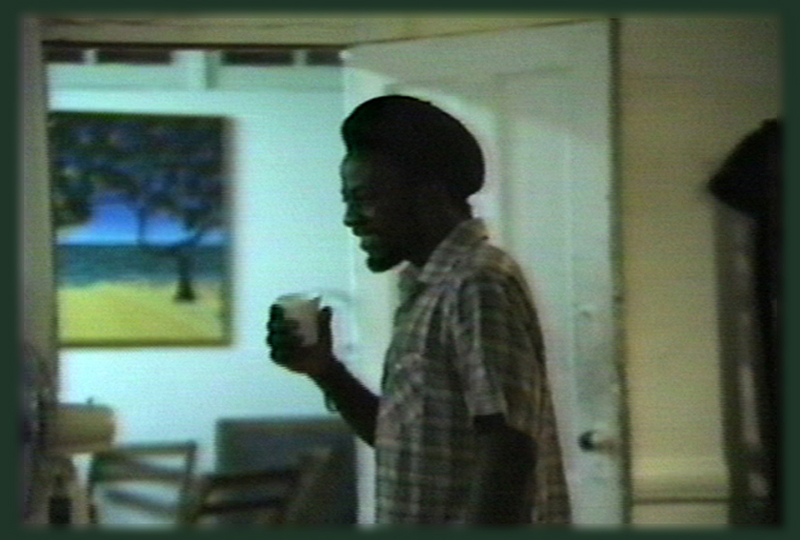 Grady Alexis drinks coffee in the kitchen of El Taller Latino Americano during the late 1980’s. Image by Demian Palombo. Birth of the Sun is a short documentary video about Grady Alexis and the East Village of the 1980’s/90’s. 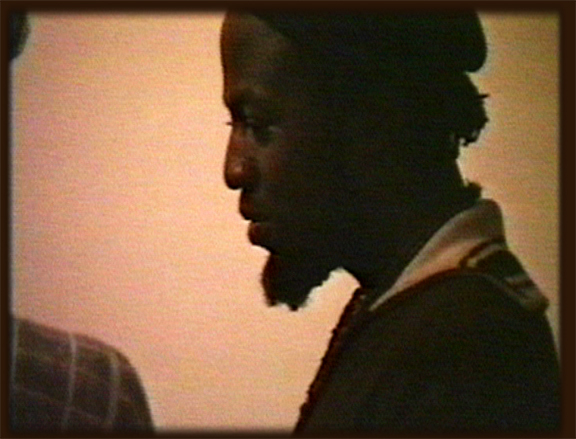 Using interviews, art, and archival footage, the film explores the life and times of the Haitian artist who moved to New York City when he was a young teenager, lived on the street while he sold his art in Tompkins Square park, found community and shelter with other artists and outsiders, and finally died in a traffic scuffle with an off-duty policeman at the age of 26. Grady lived on the edge, bonding with the artists and activists he met through the downtown community, developing a style based on his own experiences in New York City that also became firmly rooted in the tradition and culture of his native Haiti. Grady never had a legal address, living in squats, on the street, at El Taller as “Resident Artist”, and with friends and lovers. He was a collaborator, which brought him into touch with many people, movements, and cultures. Birth of the Sun examines these distinct sides of Grady’s life. It looks at the family that he found when he became “artist in residence” at El Taller Latino Americano, when he was involved with the artist known as “the Maroons” and his time with the artists who convened at the Mars Bar. Grady Alexis at an art opening at El Taller in late 1980’s. Freeze frame from video shot by Bernardo Palombo. Grady’s life was also on the street during a time when violent crime was at a peak and police-community relations were strained and tenuous. That is where his life ultimately ended. On the evening of May 6, 1991, Grady Alexis and two others were confronted by two men, one an off-duty policeman, at 8th street and Fifth Avenue. Grady died hours later from the eruption of violence that ensued. His untimely death on the evening of May 6, 1991, was swift and had a lasting impact on those who knew him. When he died El Taller seemed to collapse beneath the tragic weight of the event. The Maroons had already broken up, although Thom Corn and Grady had continued to collaborate. The film is about the many people who still remember their friendship with Grady. The filmmakers use many narrative and stylistic techniques to examine the life and death of Grady Alexis and his lasting impact. Working from a photograph of his long-lost mural “the Birth of the Sun”, people who knew Grady, and artists from El Taller have gathered to recreate the mural. The completion of the mural, which is documented in the film, culminates in the celebration of Grady’s life – a gathering of people from past and present at the first retrospective of Grady’s painting and sculpture. The filmmakers sorted through hundreds of hours of archival material that spans the entire duration of El Taller’s rich history to find the small bit of video documentation that exists of his life. Birth of the Sun is in many ways an investigation. The filmmakers are interviewing numerous people who knew Grady and were active in the arts and political culture of the time, attempting to put his life – and death – into a broader social context. The film uses subtle and artistic re-enactments to explore the relationships that defined Grady’s life and death. The filmmakers also documenting much of Grady’s surviving artwork – paintings, sculptures, masks, murals, and installations. The film has a rich and completely original soundtrack that reflects the many musicians who knew Grady. Birth of the Sun uses an artist’s rendition to represent the events of May 6, 1991. 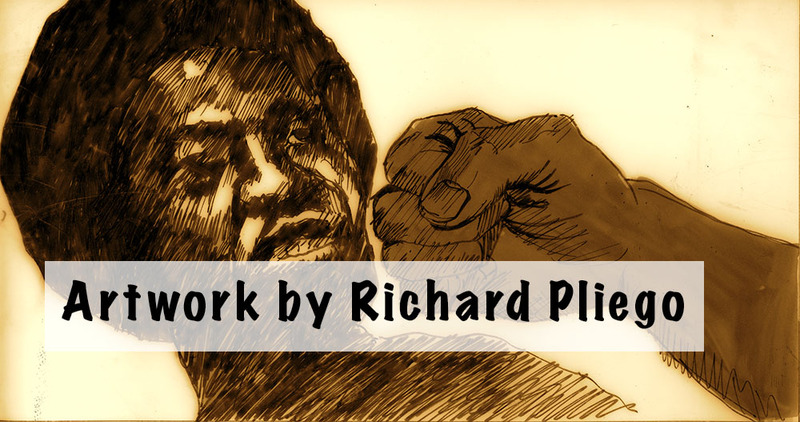 Richard Pliego was the artist. Although Grady’s life ended almost 25 years ago, his death was part of a turning point in the city’s cultural and social landscape. Birth of the Sun, which was produced in 2008, is about that time and will shed light on the life of Grady Alexis and this unique moment in the life of New York City. This entry was posted in Digital Production, The Filmmaker's Perspective and tagged Birth of the Sun, El Taller Latino Americano, Grady Alexis, Thomas W. Campbell by Thomas W. Campbell. Bookmark the permalink.